Will Fan ID holders be able to travel to Russia visa-free? Russia is offering foreign guests an opportunity to come back. 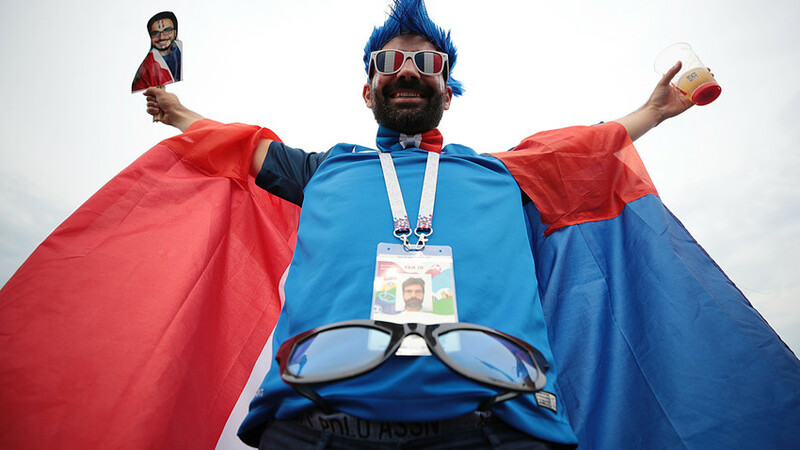 It looks like the visa-free regime for Fan ID holders didn’t end with the conclusion of the FIFA World Cup. On July 15, Russian President Vladimir Putin announced plans to extend the visa-free regime for foreign fans until the end of 2018, allowing multiple entries. Speaking to the press, he thanked all football fans for making the championship a success and noted that many foreign guests had learned more about Russia, its cities and people, and that millions had changed their views about Russia. “I think we’ll do it this way: we’ll grant visa-free entry to Russia until the end of the year for all foreign fans that currently hold a Fan ID, giving multiple and, I repeat, visa-free entry. I hope that they will use it … and come to Russia more than once with their friends and family,” he told the press. If you have a Fan ID, yes. Though there is no official regulation about it yet, Putin’s verbal order will soon be set in stone (or probably on paper). How long can fans stay in Russia according to FIFA regulations? The Fan ID was used as an identification document that allowed fans to attend matches and travel to Russia without a visa. According to the rules, the document allows holders to enter and remain in the country for 10 days before the first match and 10 days after the final match, that is until July 25. With Putin’s recent statement, it looks like it’s been extended until December 31, 2018. How many people have Fan IDs? According to the Russian Ministry of Digital Development, Communications and Mass Media (link in Russian), by the end of June as many as 1.5 million people had obtained a Fan ID. While the majority of them were from Russia (871,000), others were mainly from China and the U.S. (60,000 and 49,000 respectively). Other Fan ID holders included guests from Mexico (43,000), Argentina (35,900), Brazil (32,000), Columbia (29,000), Germany (28,600) and Peru (26,000). What if I didn’t attend the matches? Can I still get a Fan ID and travel to Russia visa-free? The plans haven’t been implemented into a decree yet, but Putin said that visa-free entry would be only for those who currently hold a Fan ID. So the likely answer is no. Is it at all possible to visit Russia without a visa? Yes, even if you don’t have a Fan ID, you can still travel to Russia without the hassle of paperwork. Regardless of the World Cup, you can always see Kaliningrad, St. Petersburg, and Vladivostok visa-free, but only for up to three days. Read our guide to find out how to get there and what to do to make the most of your brief stay.